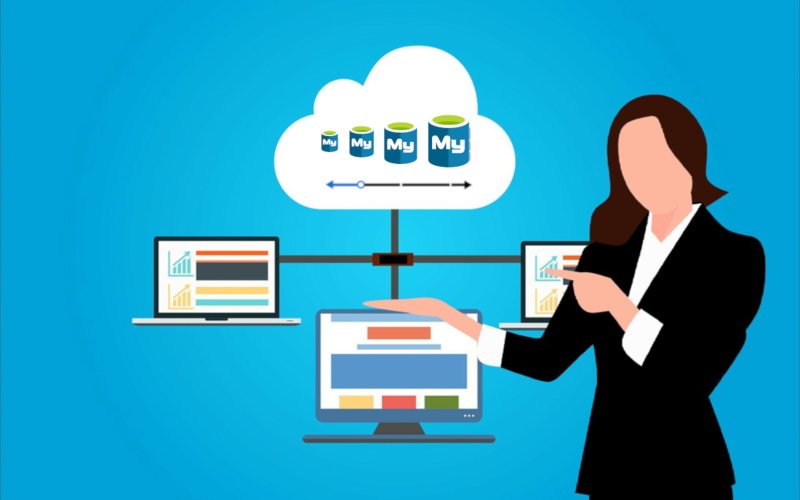 Monitoring databases is an essential part of maintaining server reliability, availability, and performance and Microsoft provides various metrics for MariaDB to get insights into the behavior of the server. 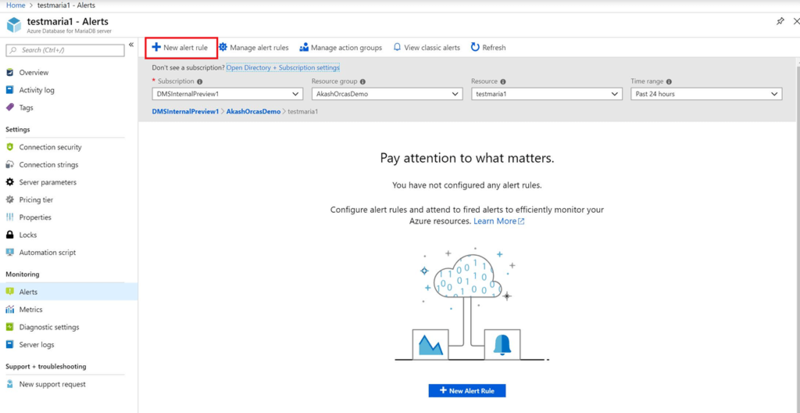 Azure Portal, as well as Azure CLI, allow setting alerts on these metrics. Below are some best practices on monitoring data on a MariaDB server along with improvement considerations based on these metrics. Here we set a sample threshold of 80 percent of a total connection limit or greater than or equal to 30 minutes and check it every 5 minutes. If the active connections are at or above the total limit over the past half hour, verify this is expected behavior based on the workload. If the workload is expected active connections can be increased by upgrading the pricing tier or vCores. 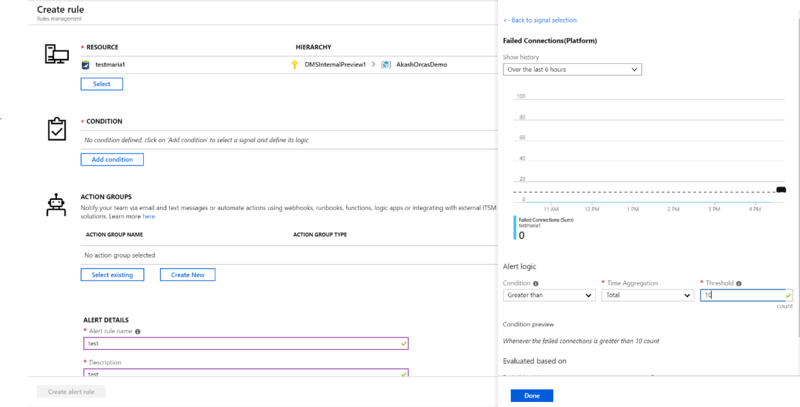 Read more about the active connections limits for each SKU in Limitations in Azure Database for MariaDB. Sample threshold is set at 10 failed connections during the last 30 minutes checked every five minutes. If the connection request failures take place over the last 30 minutes check the logs for failure reasons. Sample threshold is 100 percent for five minutes or 95 percent for more than two hours. If the CPU or memory usage is at 100 percent check your logs to understand the nature and impact of the errors. Check the number of active connections. Consider scaling up compute if your application has exceeded the max connections or is reaching the limits. Sample threshold: 90 percent usage for equal to or greater than 60 minutes. 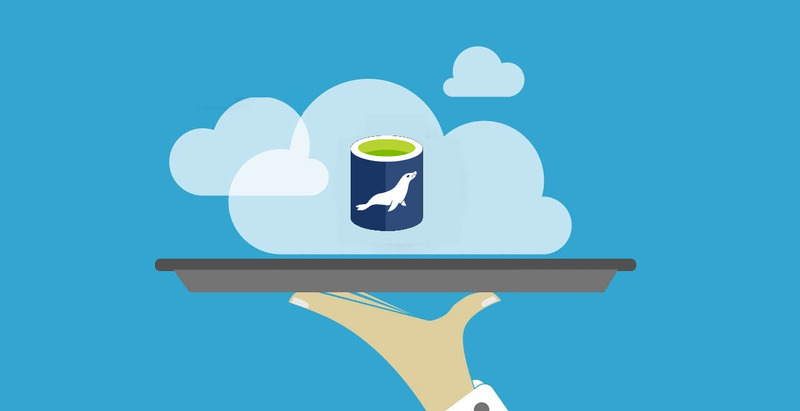 The provisioned storage is the amount of storage capacity available to an Azure Database for MariaDB server. The storage is used for the database files, temporary files, transaction logs, and the MariaDB server logs. The total amount of the provisioned storage also defines the I/O capacity available to a server. 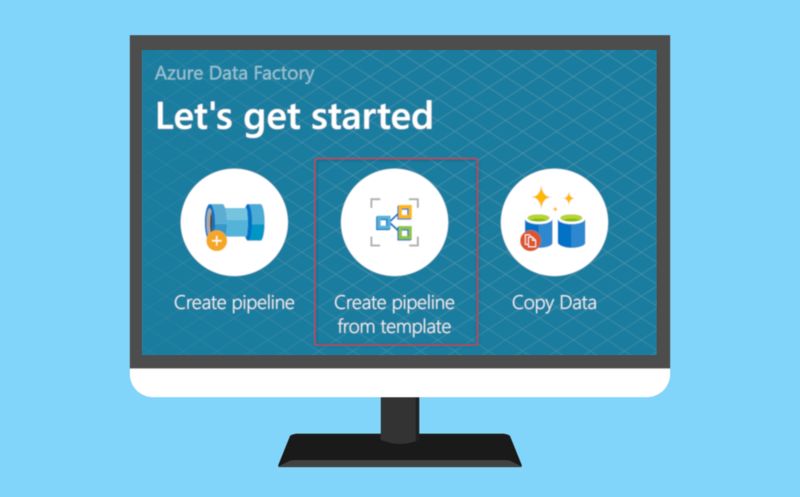 The storage you provision is the amount of storage capacity available to your Azure Database for PostgreSQL server. The storage is used for the database files, temporary files, transaction logs, and the PostgreSQL server logs. The total amount of storage you provision also defines the I/O capacity available to your server. Sample threshold is 80 percent. It is important to monitor the usage of storage as if a server is reaching provisioned storage limits, it will soon be out of space and set to read-only. You can also provision for more storage to continue using the server. 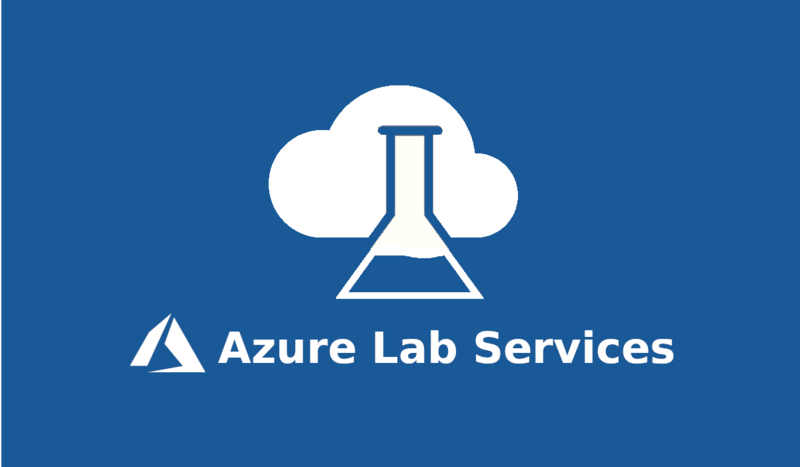 Azure Portal provides basic monitoring for Azure applications. 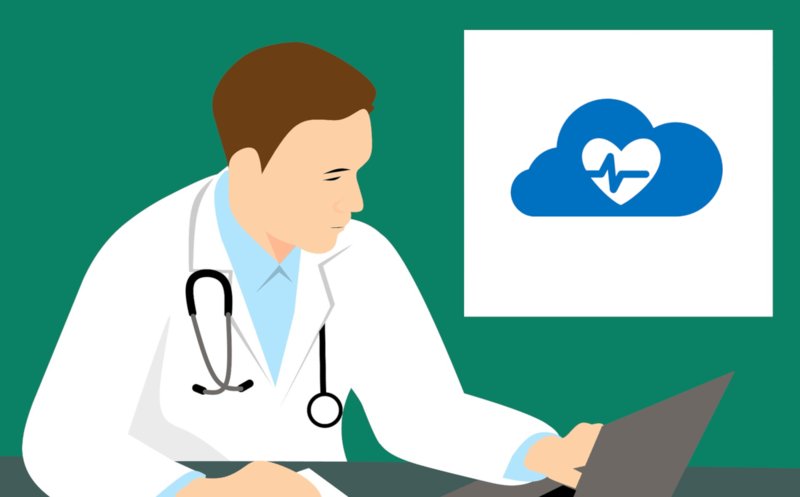 Users that require advanced monitoring, auto-scaling or self-healing features for their cloud and on-premises instances, should learn more about CloudMonix. 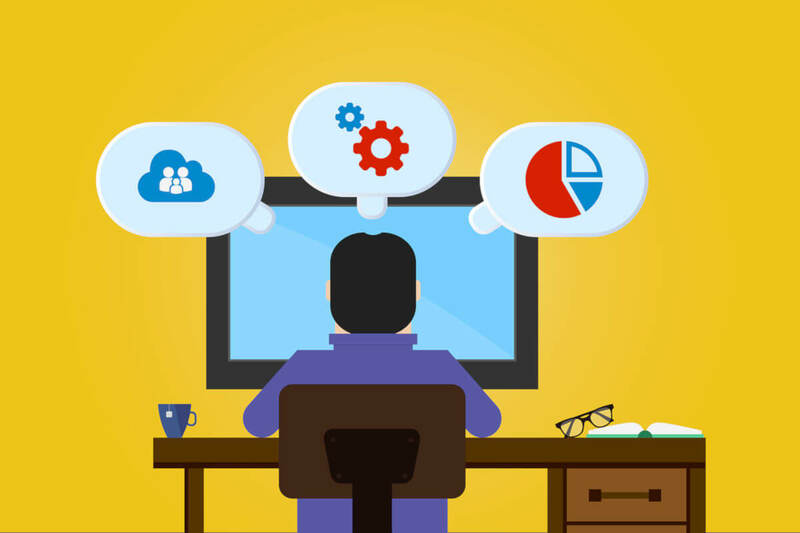 Along with advanced features designed to keep Azure applications stable, CloudMonix also provides powerful dashboards, historical reporting, various integrations to popular ITSM and other IT tools and much more. Check out this table for a detailed comparison of CloudMonix vs native Azure monitoring features.